LGM launches F&I certificate program with Georgian College | LGM Financial Services Inc. LGM launches F&I certificate program with Georgian College | LGM Financial Services Inc.
Students of the Automotive Business School of Canada (ABSC) at Georgian College in Barrie, ON, now have the opportunity to enroll in a week-long course to learn about the functions of a dealership’s Financial Services Office, as well as best practices for Financial Services Managers (FSMs). The Financial Services Manager Certificate Program will be offered on-site at the college in the Winter and Summer semesters, for a total of two course offerings every year. The inaugural class ran from February 27 to March 3, 2017. The course will be taught by LGM trainers and will introduce Financial Services Office processes, including an FSM’s role in the vehicle purchase process, the steps completed in the Financial Services Office, and the features and benefits of F&I products. Students who took part in the inaugural class from February 27 to March 3, 2017. The course will also focus on practicing a consultative sales approach, with students being educated on effective interactions with the customer: How to ask questions to uncover areas of concern, how to make customers aware of vehicle ownership risks, and how to position F&I products as a viable solution. 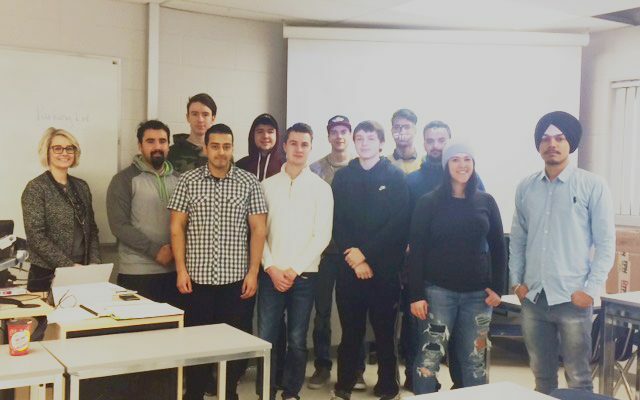 A portion of the curriculum will borrow from LGM Training’s hallmark Elite Performance course, a popular class among current FSMs across Canada, which aims to innovate the sales approach for F&I products in a way that increases dealership productivity and profitability, while at the same time improving customer satisfaction. LGM trainer Suzanne Dique leads the first class. The next course is scheduled to run this summer, June 26 to June 30.